Weber BBQ Light Up & Cleaning There are 5 products. Good food deserves good fuel. Always use quality Weber briquettes and charcoal, which are of the finest quality, to get the best results. Ready to grill in 35 minutes and a total of 240 minutes of grilling with Weber Long Lasting Premium Briquettes - the perfect choice for your barbecue party. 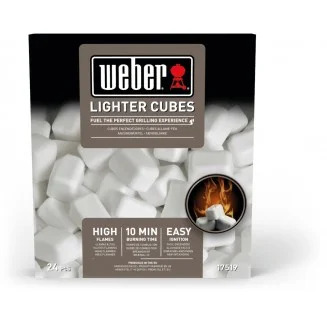 Weber Lighter Cubes - Fuel the perfect grilling experience - These paraffin lighter cubes are non-toxic and aroma-free, so they won't spoil the taste of your food. 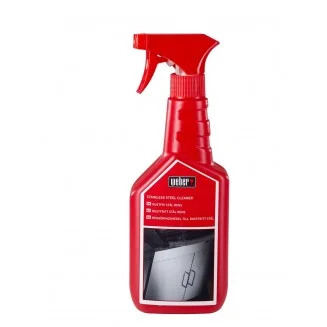 A 100% natural, non-stick spray for spraying on the cooking grate prior to lighting the barbecue. Non-flammable, odourless and tasteless. 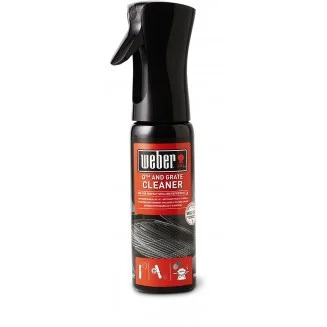 Weber® Q® And Grate Cleaner 300ml. 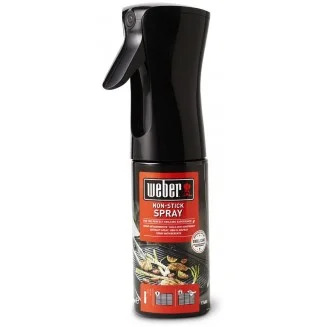 Make life simple with Weber's range of barbecue cleaners. Makes it easy to loosen fat and food residue, so you always have a perfectly clean and appetising barbecue.